Welcome to the Prosthodontics Department at Bahria University Medical and Dental College (BUMDC). Being a clinical speciality, we are part of the academics as well as patient care through Bahria University Dental Hospital. We as a department envision to develop ourselves into a flourishing dental prosthetic healthcare facility. We aim to train our students so that they can compete anywhere in the world with their counterparts. As we are planning to enhance our faculty size and supporting paramedical staff, we will easily be able to transit from our state of infancy to a mature constituency unit of BUMDC imparting state of the art patient care and training both undergraduate and postgraduate students. At the moment, the department is catering to patients through provision of removable complete and partial denture prosthesis; fixed prosthesis, maxillofacial prosthesis and temporomandibular disorders management. The paperwork for postgraduate studies is already underway which will serve to enhance the undergraduate teaching, research and patient care. The research profile of the department has sustained since its inception and growing through more analytical study designs. The procurement of research tools by the multidisciplinary laboratory will facilitate research at par with international standards. The future of the department lies in the provision and innovation in implantology, maxillofacial prosthesis and fixed prosthodontics techniques which is being aided by the up gradation of the already in place simulation laboratory and a positive approach of Bahria University towards enhancement of technology in dentistry. Prosthetic dentistry is the branch of dentistry pertaining to the restoration and maintenance of oral functions, comfort, appearance and health of the patient by restoration of teeth and/or replacement of the missing structures with removable and fixed dental prosthesis. It also encompasses the treatment of lost maxillofacial structures as well as management of patients with implant prosthesis. An understanding of the choice of material and technique is crucial in delivering a high standard of prosthetic care. The objective is to be a premier department in providing a high standard of teaching, training and research to produce caring dental professionals with a holistic approach in prosthetic dentistry and to be a center of excellence in oral health science, education and research and to function as a catalyst to promote learning and research in prosthetic dentistry. The department includes outpatient department as well as fully equipped prosthetic and ceramic laboratory. Preclinical Prosthodontics encompasses basic training of prosthetic dentistry using clinical simulation models. 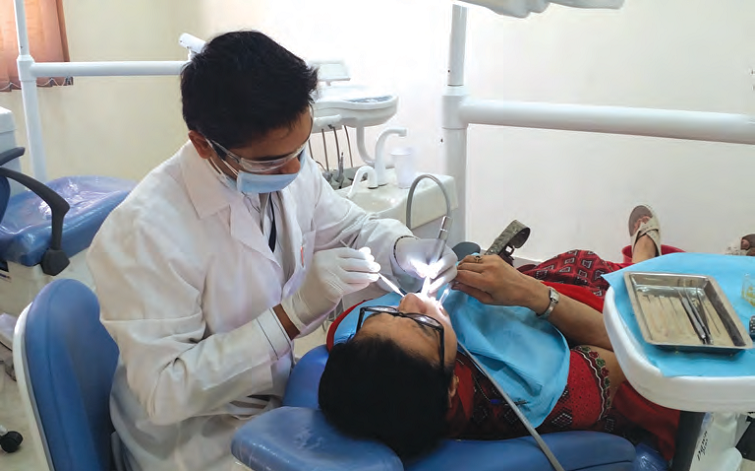 It also deals with laboratory procedures pertaining to different dental prostheses. 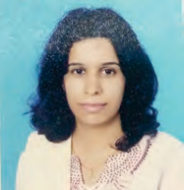 It is imperative for the student to have knowledge regarding instruments, handling of the patient, laboratory procedures and some knowledge regarding clinical techniques before working in the actual clinical environment. It will prepare the students to work on real patients confidently and with basic knowledge in the coming academic years of BDS. Students will be given academic and clinical training experience of prosthetic laboratory procedures and clinical principles and techniques on simulated dental models in phantom heads laboratory.